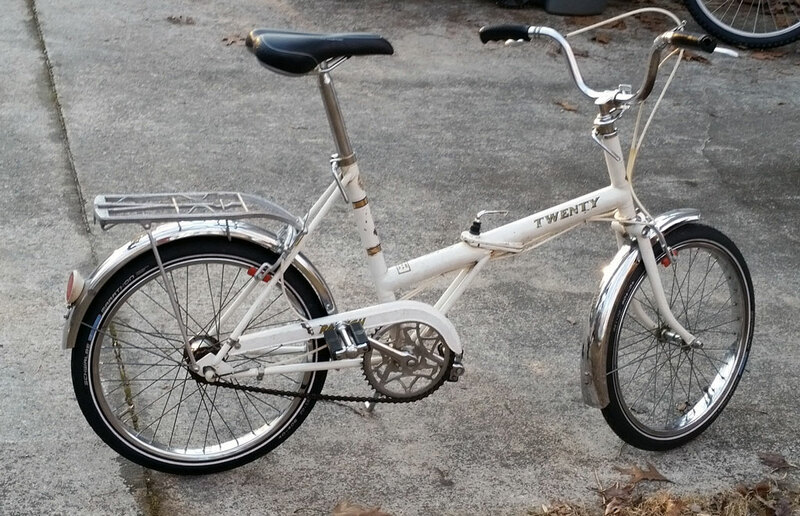 My first English 3 speed purchase was a 1972 Raliegh Twenty. I found it on Craigslist and got it for $60. It didn't shift or stop, but was complete and in pretty decent condition with not too much rust. 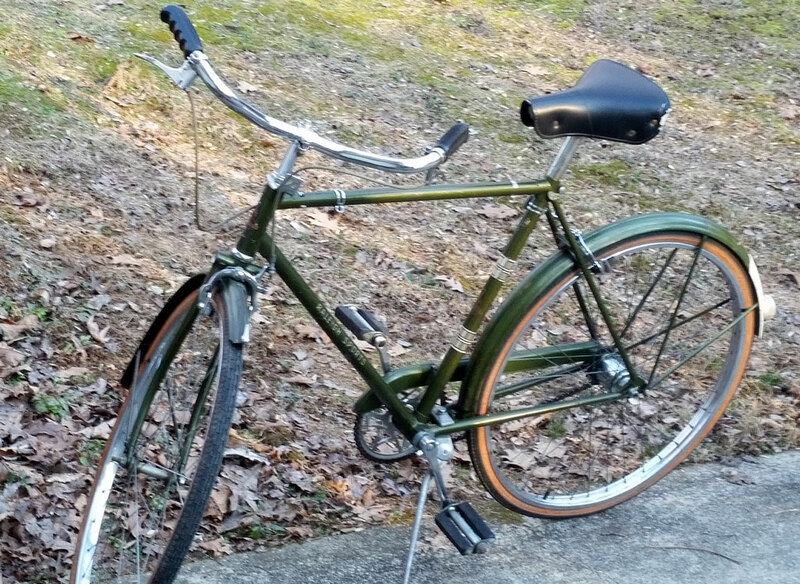 I cleaned it up, got the shifting working and added new tires, tubes, Koolstop brake pads and a new seat (still have the original mattress seat). I've enjoyed taking it on vacations to the beach and throwing it in the trunk for casual rides locally. 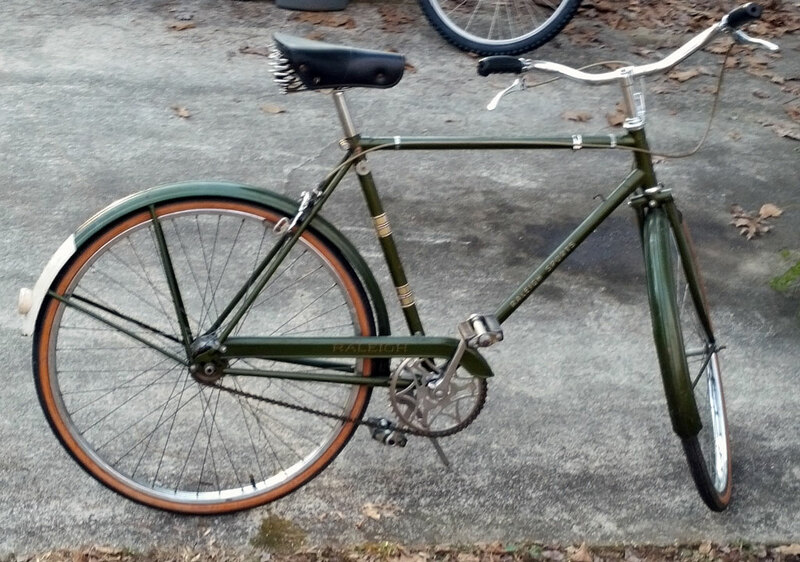 Here is my next acquisition - a 1968 Raleigh Sports. 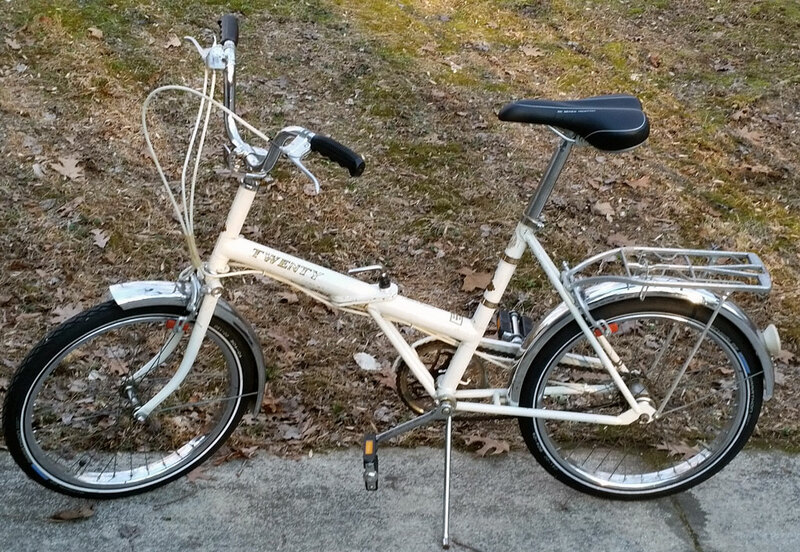 I got it from a guy at a bike swap meet for $25 plus a NOS Suntour derailler I had bought off of eBay (for my mid 80s Schwinn 10 speed that it turned out I didn't need). It wasn't complete needing brakes and cables etc. I've had it for about 5 years and not gotten very far with it. A kind soul on here donated some parts to complete it, but it's been frustrating and I lost interest a number of times. It did come with a Brooks saddle. I've never been able to get it to shift properly so I suspect the SA hub is defective. I tried WD40 and oiling it, but no good. It also clunks when riding it, so I suspect the bottom bracket needs attention - something I've never done and don't have the proper tools for. I did get it to shift okay when I put the rear wheel and shifter/cable from my Robin Hood (see below), but it still clunked so it's time to move on. 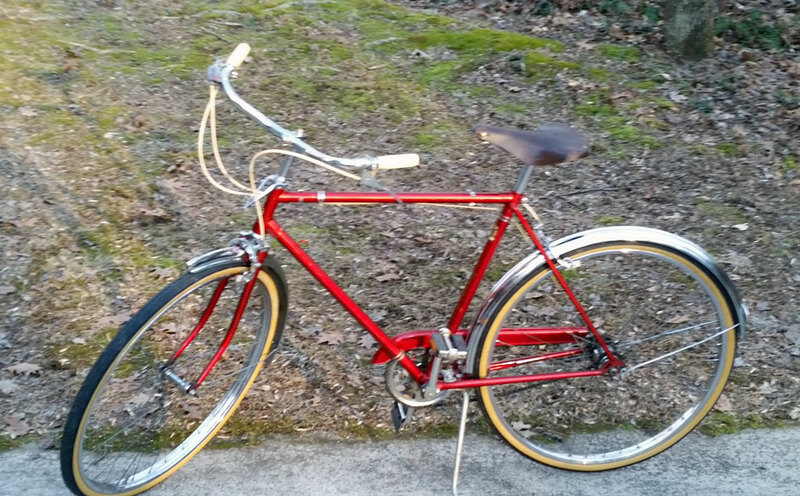 Here's my most recent purchase - a 1970 Robin Hood that was on Craigslist and I got it for $50. It was complete and in pretty good condition. It shifted fine and rode well. Even the tires/tubes held air. I cleaned it up, put on new tires/ tubes, steering head bearings and a fulcrum clip. 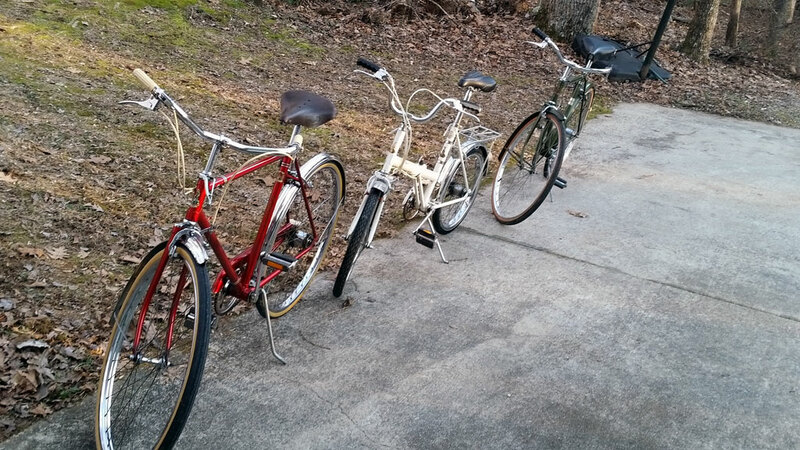 I put the saddle and pedals (already rebuilt) on from the Raleigh Sports. It still needs new brake pads because the braking is marginal at best. 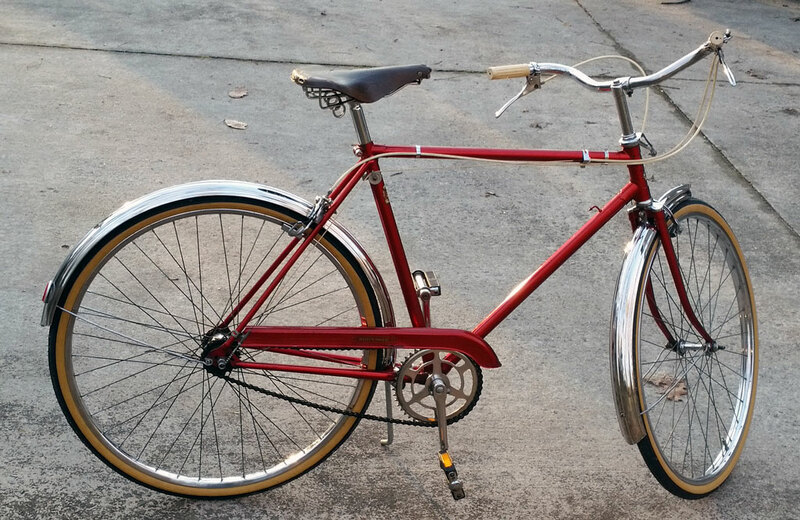 I have a soft spot for this bike because my very first bike was a red three speed with chrome fenders. It was a mid 60s Royce Union and I remember the shifting never worked - probably an early Shimano three speed hub.